If you have been designated as an Approver by a system administrator, other personnel can be assigned to you as subordinates, with you being responsible for approving their time and expense entries. 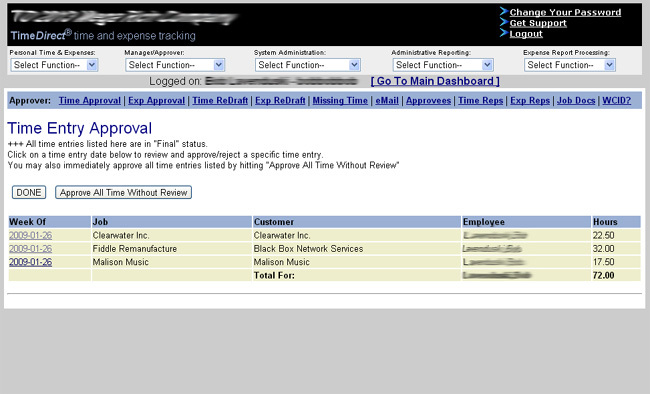 When these personnel designate time and expenses as “Final”, you will be notified by email that there are approvals waiting for your response. You can either approve or reject these entries, while sending an email explaining your response if needed. 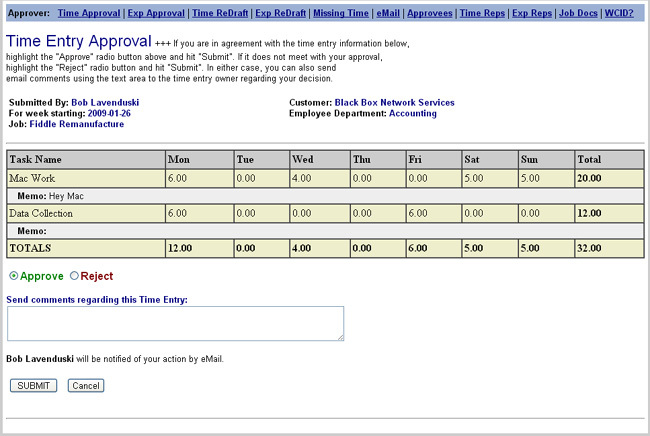 In addition, managers can find missing timesheets, send broadcast emails, run staff reports, and view job documents.